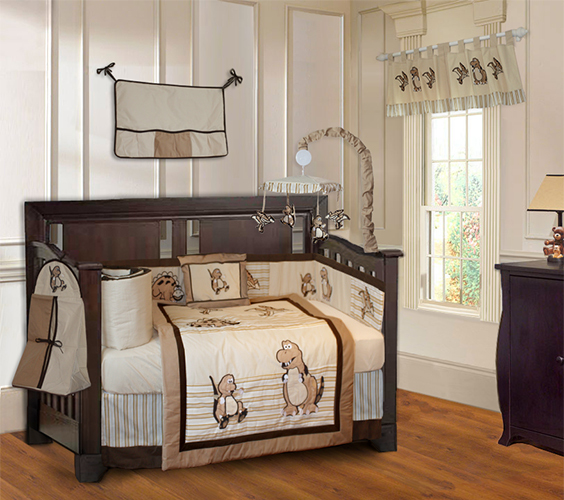 Bring back Dinosaurs alive with Dinosaurs Crib Bedding style. We usually called Crib bedding as Nursery Bedding. Dinosaurs have been very fascinated for kids, as a parent you can use dinosaur theme for your nursery. Best, dinosaur crib can work for either a girl or a boy. 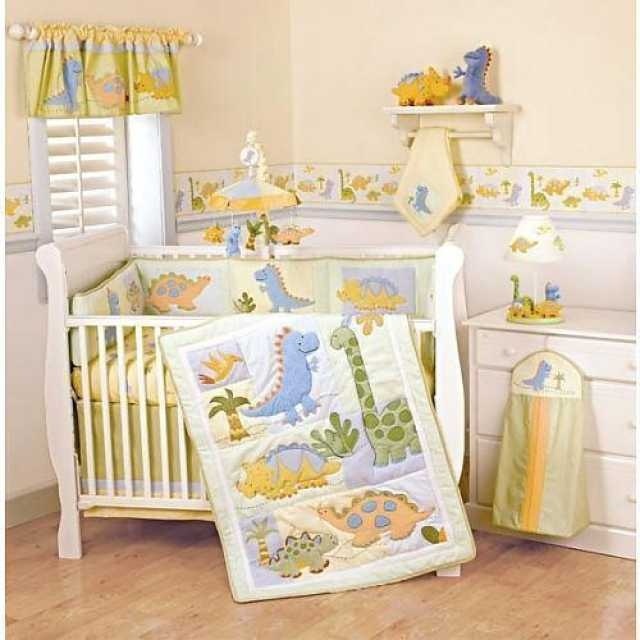 As we found, there aren’t always a lot of sets available for Dinosaur crib, but there are still many variations that you can choose like colorful crib bedding, realistic dinosaurs look or you can find cartoonish-dinosaur bedding. You can choose depend on what you have in mind. 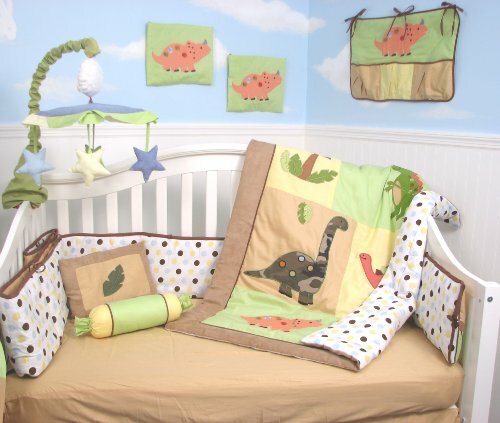 You can use a dinosaur-themed room with some wall stickers or you just use the crib only. You can also add some rugs, dinosaurs mobile or lamps – just make it real, like a pre-historic era. Some of the best reasons to choose Dinosaur Crib theme for your baby’s room are dinosaur have cheerful designs and very cute for your boy or girl. 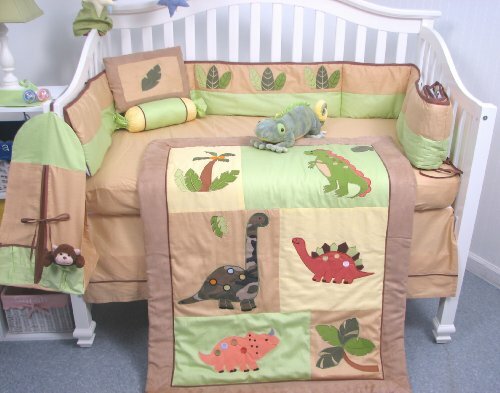 Second, you can mix and matched the dinosaurs bedding color and crib. So many neutral color. It can increase your variations with just a few selections. Best, the bright and colorful theme and patterns will grow with your child into toddler age. So you can safe your money, because baby, toddler even kids loves Dinosaurs.Your child will also learn to know many dinosaurs species like Brontosaurus, Triceratops , T-Rex etc in a fun way.